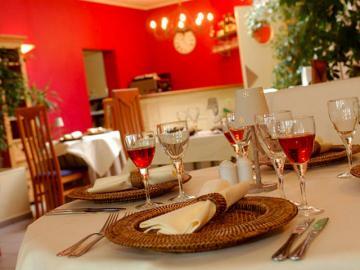 The Carpe Diem Hotel and Restaurant is centrally located in the village of Ouffet in the Liégois Condroz. It is ideal for weekend relaxation, or for a gastronomic adventure. It also lends itself extremely well to the organisation of seminars, wedding and Holy Communion celebrations and of every kind of reception. Come and sample the subtle dishes from our menu and spend the night in one of our seven comfortable rooms. That is undoubtedly a splendid way of enjoying yourself!